The Darlington-based Cleveland Bridge has achieved a Gold award in the internationally-renowned RoSPA Health and Safety Awards, said to be the longest-running industry awards scheme in the UK. Cleveland Bridge said it has made considerable investment in developing its behavioural safety ethos, which underpins its programme of training, coaching, information and supervision. Head of Safety and Health at Cleveland Bridge Susan Debnam said: “This award is in recognition of all the hard work we have put in on a daily basis to embed safety in all we do. RoSPA’s Head of Qualifications, Awards and Events Julia Small said: “The RoSPA Awards have become the key fixture in the health and safety calendar with new sponsors and new awards. 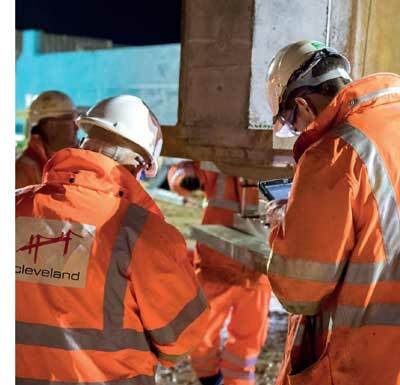 Cleveland Bridge’s award will be presented at a ceremony at the ExCeL Centre in London on 18 June.